Si vis pacem, para bellum "If you want peace, prepare for war! 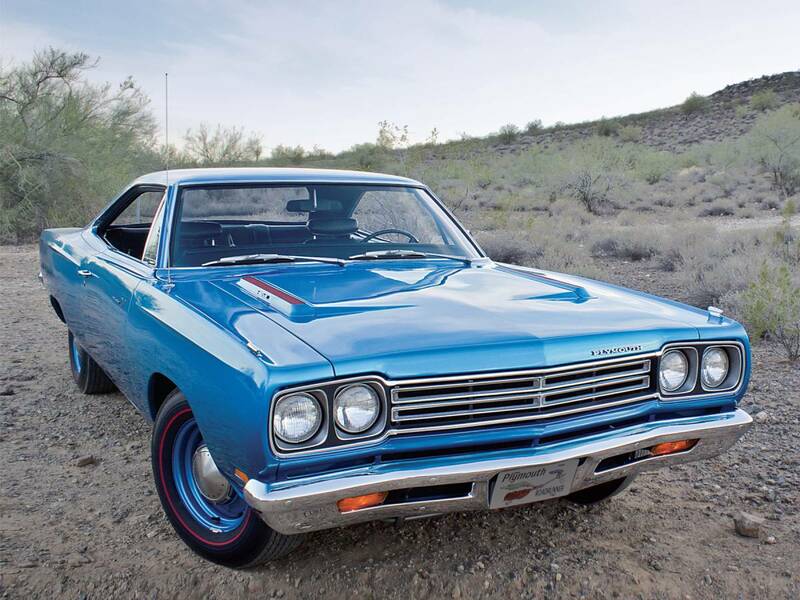 I do solemnly swear (or affirm) that I will support and defend the Constitution of the United States against all enemies, foreign and domestic..."
I also had the '69 GTX - almost the twin of my Roadrunner ... but with a true psychedelic paint job. I always loved how they would rise up in the back coming off the line. Actually stretched the 50 series tires enough that you felt it. Had to put screws through the rims into the bead to keep the tire from spinning on the rims. Currently a extra can short bed with no rust again! Lol! Sent from an empty soda can! Last edited by dieselram94; Dec 21, 2014 at 08:33 PM. Treasure_Hunter, Kemper, Chadeaux and 3 others like this. Restore Freedom and get us out of the UNITED NATIONS NOW!!!!!! I remember painting one of those Barracuda's, broke the back window..Ouch. After each paint job they would pay up and part of the bill was to do a me a little burn out, since most were younger many would out do themselves. Can remember the cuda burn out I do remember a 67 mustang, 427, or 428..Holman Moddy car....Wow, what a smoker...painted it that slim green color, but it was metallic at least..
Yeah and the 1969 Mach 1's and Bosses all had option for a 428 cobra engine. Not a lot were sold. Last edited by Helix; Dec 22, 2014 at 10:14 PM. I wish I had some pictures of a car a friend of mine built. He took a 350 Chevy engine, milled the heads at an angle. He had a 14.? to 1 compression ratio. He put that monster into a little Maverick. It wouldn't stand the torque, of course. He had to reinforce a lot of the frame and such before he could 'put his foot in it'. He worked at a specialty auto repair shop. They specialized in beefing up the engines, trannies, and bodies for hotrods. He was a whiz at beefing up the computers for more power and/or mileage. The last I saw him, the engine was on an engine stand. He said he was through with the Maverick, and was looking for a different body for the engine. He had several trophies from several different drag strips with the little Maverick. He was always looking for something different; something that no one else had tried. I'll play.. Various stuff I've owned and built from scratch other than the Monte SS. That was pretty nice when I bought it. The Blue 67 Camaro is my current ride. 355 smallblock built to Nascar late model specs, Muncie 4 speed, 12 bolt rear, 4 wheel disc brakes with WIlwood Aluminum calipers, etc. The engine in the Camaro is actually the spare from the Yellow & Orange Late Model. dieselram94, Oregon Viking and texasred777 like this. Is the Monte Carlo SS stock? How about the T/A? I had a '75 factory V8 Monza....no pics though. Freedom is something that dies unless it's used. Time is like a river. You cannot touch the same water twice, because the flow that has passed will never pass again. Enjoy every moment of your life. A student said to his master, "You teach me fighting, but you talk about peace. How do you reconcile the two?" The master replied, "It is better to be a warrior in a garden, than to be a gardener in a war." Speaking of building something different from others, in 1961, I worked with a guy that had a little 1954 6-cylinder Ford. He did just about everything that could be done to an engine at that time. No blower or such, but had best pistons, rods, cam, etc. that could be had at that time. It was 'hot' for a 6 cylinder! He later traded it in on a new 'Vet. Last edited by fistfulladirt; Jan 01, 2015 at 06:30 AM. worldtalker, Kemper and Chadeaux like this. The one everybody else missed. My ride in 72...289 HiPo...Strange seeing the drive shaft laying in the road after slamming 2nd one day. dieselram94, Kemper and Chadeaux like this. ​EVER WONDER WHERE YOUR THOUGHTS COME FROM ? Anger is what keeps you emotionally lost in your head and blind to reality. A lie doesn't become the truth just because people believe it. By wkrp43 in forum Today's Finds!